Bavaria FC have had a solid start to the revamped Futsal Premier Division this season, and we take a look at arguably Gibraltar’s fastest growing sport club. 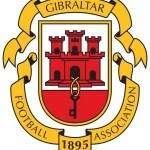 The club were formed 10 years ago by Gibraltar international midfielder Jamie Bosio, as well as Tim Azopardi, starting out as a cricket team – the name Bavaria came from the German History module they were studying at A Levels at the time. After a number of successful years of cricket, the pair decided to grow the club into a multi-sport organisation, and futsal was next on the Bavaria agenda, starting in the old fourth division back in 2016. Back-to-back promotions, as well as cup success, alongside the league restructuring means they now find themselves in the Premier Division and so far have won three of their first five games this season. The growth of the team is highlighted in the fact they had two players in the most recent national squad for the international vs Scotland – Jamie Walker and Liam Franco, and it can be expected that the team will add to that tally in the coming season. After winning their first three games this season, Bavaria have had a little stumble with defeats to College 1975 and Newton Store, and challenging for league honours may be a step too far this season, especially with the strength of the Premier Division’s biggest sides, but Bavaria are sure to be up at the right end of the table in what would be a great first season at this level for the side. Bavaria have since expanded into netball and basketball in recent years, and Bosio says that he “feels they are creating something different” in Gibraltar, especially promoting sports other than football to local youngsters – safe to say “The Pinks” are on the rise in Gibraltar. Bavaria have an active social media and online presence, and as well as their website, you can follow the team on Facebook, Twitter and Instagram. Basketball – Two senior teams, one women’s senior team, and youth teams from U13 to U18. FG would like to thank Jamie Bosio for his help with this article, and wish Bavaria all the best going forward.